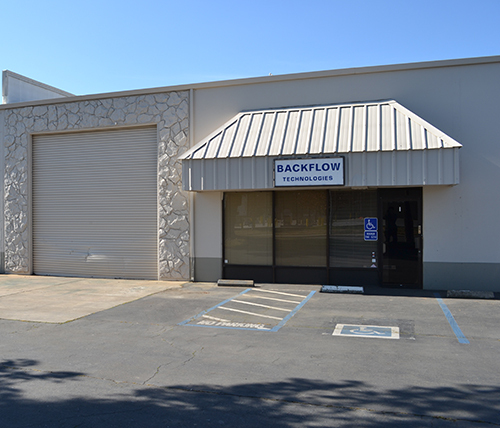 Backflow Technologies is a master distributor located in Sacramento California that specializes in backflow prevention products and accessories. From repair kits and whole assemblies to enclosures and accessories, Backflow Technologies can service all of your backflow prevention needs! The history of how Backflow Technologies came to be dates all the way back to 1995 when Dan Scott worked for the Ames Company as the inside sales manager. The Ames Company was sold to Watts in 1999 and Dan went to work for Preferred Sales, a sales rep firm responsible for representing Watts & Ames backflow products. Through his experience at the Ames Company and Preferred Sales, Dan gained comprehensive knowledge on backflow prevention and in 2003 became a certified tester through the California / Nevada chapter of the American Water Works Association. In 2007, Dan realized there was a need for a northern California distributor that focused solely on backflow prevention products that could offer cost effective solutions while maintaining a positive customer experience for contractors, testers and all other backflow professionals. It was through this realization that Dan created and executed his plan to establish a backflow specific distribution company and in May of 2007 Backflow Technologies opened its doors. Although the times have changed, our commitment to providing the best overall customer experience has not. We pride ourselves on being able to provide superior product knowledge, the most up to date and effective troubleshooting techniques and offering the most cost efficient solutions to make sure your customer is with you for life. We began as a family business, we have stayed a family business and look forward to having the opportunity to serve you in the future.